Week of Oct. 15th 2012.: Mladen Božičević - "Let's Dance"
Mladen is master of hidden nature photography! There are so many talented and very good photographers, being able to transform complex scenery into photo stories. There are masters of landscapes, showing excellent wide angled scenes of meadows and forests in the distance. But, Mladen takes a closer look behind the scene, he looks for a particular interesting corners of beautiful nature, surrounding us, and comes up every time with another astonishing detail, and photography as a story that could be transposed in various dimensions of life. He i s definitely the Master! This is one of Mladen's latest additions to Lighthunters' site. It shows the hidden connection between so various life forms and species. 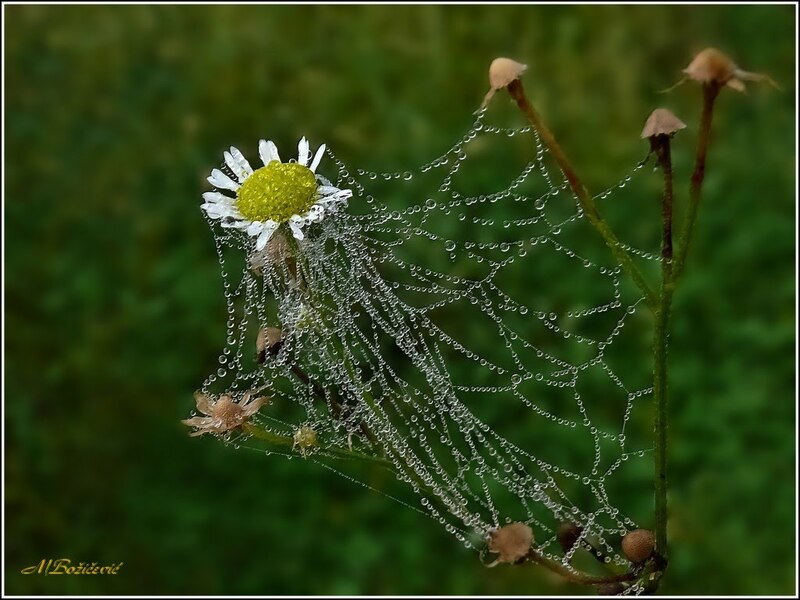 It depicts a micro universe in each of the countless water drops, nested one after another on thin silky spider's web! Click on the image to visit Mladen's gallery!